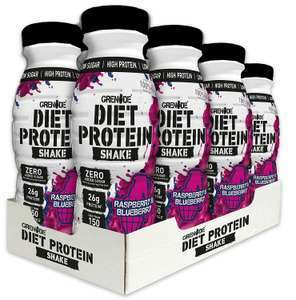 Diet Protein Shake is a delicious, high protein shake with zero added sugar, made using premium 100 per cent whey protein and naturally sweetened with real Raspberry, Apple and Blueberry juices. Similar price Holland and Barrett if it helps. Got one or these free with a order from grenade. One of worst tasting shakes I have ever had. If you like the taste then this is a great offer.